This page contains a selection of MP3 files in a range of Traditional and Other Styles of Music, anything that is not in the Classical MP3 and Original MP3 Sections. grouped into sections. These have been grouped into a number of themed sections, and the same music pieces are also generally available for download as MIDI Files or as Sheet Music. Scott Joplin grew up in the time and place where a new music was evolving. He was one of the pioneers of Ragtime Music making a name for himself with "Maple Leaf Rag". Usually credited solely to Jopin, "Swipesy" was a collaboration with his pupil Arthur Marshall. Joplin also co-wrote rags with Scott Hayden, and he provided some assistance to James Scott when he introduced him to his publisher. Scott Joplin is almost an exact contemporary of Debussy, and in fact influenced some of his work. Ragtime in general and Scott Joplin in particular reached a new audience when "The Entertainer" was used on the soundtrack to the movie "The Sting". Bugle Call from Tchaikovsky's "Capriccio Italien"
Trumpet Call from Beethoven's "Leonore Overture No.3"
A number of Folk Songs can be found in our section on National Anthems and Patriotic Songs. Here are mp3 files of some further folk songs and dances. Auld Lang Syne is a traditional melody used to mark the togetherness of a group or community at the close of an event, but particularly to mark the midnight clock chimes for a New Year. 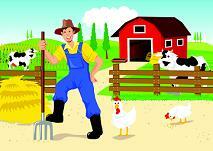 Nursery Rhymes & Songs are a particular type of folk song which appeal to children. Initially parents will sing these to their children, and the chilren will learn to sing such songs themselves when they are older. 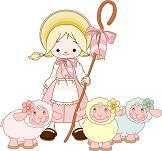 Here are mp3 versions of such nursery and children's songs, in simple piano arrangements. Equally important is the choice of music for the funeral service of a loved one, and here are a few classical suggestions from our funeral music section which has further examples. We also have a page of music suitable for Remembrance Day and similar occasions. This waltz is an example of French brass band music. The music of Jean-Baptiste Lemire is preserved and promoted by Tanguy Lemire whose web-site includes music and material about his grandfather.